I’m Celebrating Again with CIPA Book Award Winners! 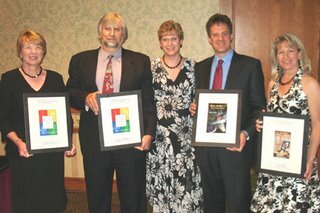 On June 17th, Colorado Independent Publishers Association (CIPA) held their annual “EVVY” Book Awards Banquet. My company was a part of the design team for 3 publishers who received 1st Place awards for their books. It was a privilege to share the honors with these outstanding writers. This brings the total book awards for clients of MacGraphics Services to 21 in a five-year period! 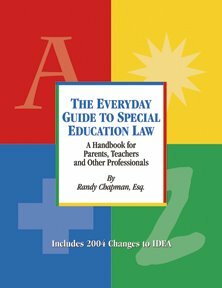 Randy Chapman, Esq., and Mary Anne Harvey of the Legal Center accepted multiple awards for their book, “The Everyday Guide to Special Education Law.” The book won a 1st place CIPA EVVY award in the “How-To” category, a 2nd place award in the “Parenting/Family” category, and 3rd place award in the “Education/Academic” category. 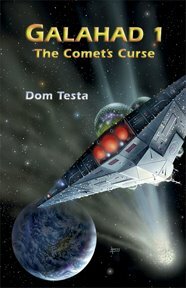 Dom Testa of Profound Impact Group won a 1st place CIPA EVVY award in the “Juvenile” category for his book “Galahad 1.” He previously won the 2005 “Writer’s Digest” Grand Prize for the best self-published book in America for this book too. 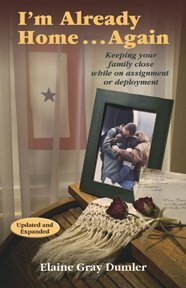 Elaine Dumler of Frankly Speaking won a 1st place CIPA EVVY award in the “Parenting/Family” category for her book, “I’m Already Home . . . Again.” This is her second award winning book. This photo shows Mary Anne Harvey, Randy Chapman, Esq., me, Dom Testa and Elaine Dumler at the CIPA Awards Banquet.